According to one study published in Surgery, more than 4,000 preventable surgical errors occur every year, costing private and public healthcare providers more than $1.3 billion annually in malpractice payouts. Mistakes range from wrong-side surgery to foreign objects left inside patients. Despite being known in medical circles as “never events” because they should never happen, a range of studies support the findings published in Surgery. In 2007, research published in Annals of Surgery revealed shocking data taken over the course of 30 months in just one state. The report included 400 “near misses” and nearly 300 wrong-side surgery errors. In 2009, Archives of Surgery found that so-called “never events” happen all too frequently. Surgical negligence often goes unreported. It’s estimated that 80 percent of errors are not reported by hospital employees, according to a report compiled by the U.S. Department of Health and Human Services. The Surgery report’s figure of 4,044 surgical errors is unlikely to reflect the true scale of the problem, since many events are never reported. Not all items left behind after surgery are discovered, for example. They are typically only discovered after patients experience complications or discomfort and in some cases, experts believe, this may not occur for years after the operation, and may never happen at all. A 2012 study by the inspector general for the U.S. Department of Health and Human Services revealed that hospitals reported just 1% of the events they were supposed to record in those states. Such surgical mistakes may occur as a result of inexperienced, under-qualified or fatigued doctors, or when support staff fail to follow proper safety and hygiene standards or surgery protocols. 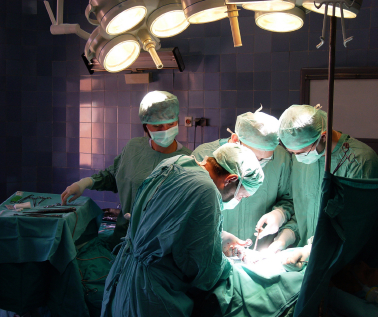 The consequences of surgical negligence range from temporary injuries in 59 percent of cases, to permanent injuries in 33 percent of cases, and death in 6.6 percent of the cases. If patients pay the price for doctor negligence with ill health and, in more dire scenarios, their lives, hospitals are often forced to pay vast sums of money as compensation to the victims and their families. According to data compiled by Medicare, hospitalizations involving a lost sponge or instrument cost, on average, more than $60,000. Per case, medical malpractice lawsuits cost hospitals between $100,000 and $200,000. A report on health care quality issued by the National Quality Forum put lost sponges and other instruments in the most serious category of surgical mistakes. There are some technological solutions, but they are not widely implemented, much less legally mandated. Sponge-tracking systems typically add just $8 to $12 to the cost of an operation. One system adds tiny radio tags to sponges that can be tracked and removed before closing patients up following surgery. IU Health spends more than a quarter of a million dollars a year equipping its three Indianapolis hospitals with tagging systems. The program has been 100 percent successful so far, with not a single lost sponge case occurring in the five years since they adopted the technology. Hospitals make money from mistakes because insurers pay them for the longer stays and extra care that patients need to treat preventable surgical complications, according to a study published in The Journal of the American Medical Association. Authored by experts from Harvard’s medical school, the Boston Consulting Group, the 2010 study is based on a detailed analysis of 34,256 surgery patient records from 12 hospitals. The report indicates that the current payment system makes it difficult for hospitals to improve safety because the cost of improvements is greater than the cost of liability and surgical negligence lawsuits. To help a patient establish liability, attorneys specializing in surgical errors must carefully examine hospital records, interview staff involved in the operation and retain medical experts to prove that any mistakes made were caused by a failure to provide the acceptable standard of care. If you have suffered injuries or complications stemming from surgical negligence, you may be entitled to compensation for your medical expenses, loss of income, pain, suffering, and other damages. The medical malpractice attorneys at Eisbrouch Marsh can help explain your legal options during a complimentary case evaluation. Don’t delay in contacting our offices as strict statutes of limitation govern all medical malpractice cases.